The Mini Utility Tote is suitable for all Maclaren buggies. Stores on the go essentials and can be folded with the buggy. Compact baby bag and fashion accessory for on-the-go moms. 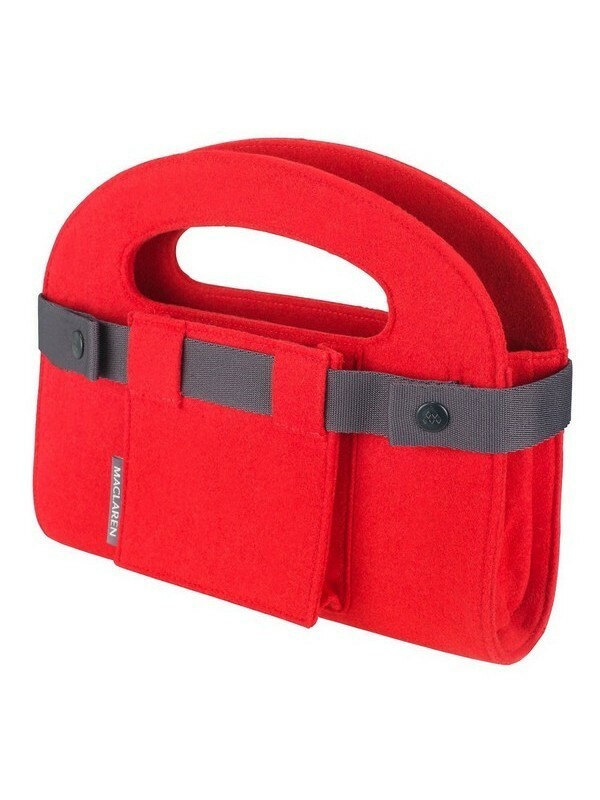 Ideal for storing keys, wallet, cell phone and other small valuables. Features convenient built in stroller straps. Can be folded with the buggy. Suitable for Maclaren and most umbrella buggies.